This high quality knit cap is embroidered with detail created for the Official store - Black oval emblem with white "David Gilmour" letting inside, on a black pom-pom beanie. 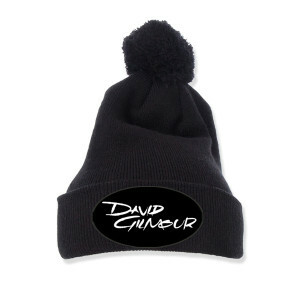 Love my Gilmour beanie!! Fits snugly and keeping me warm in Chicago- so cool I got one for a friend.